You possess a huge LP collection, ranging from Van Halen to John Coltrane, art pieces, a vast library containing books (some people believe you own an original first edition Shakespeare’s Romeo and Julieta), comics, CDs, DVDs. Of course your friends are always asking to borrow Tom Jobim‘s and B.B. King‘s LPs, rare books, the most beloved CDs, DVDs and even daddy’s 1964 Rolls-Royce, which you lent to one of your closest friend to impress a girl. 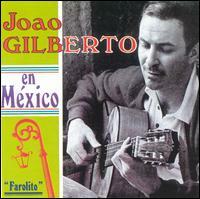 But sometimes people forget to give back the books you lent (another version of the legend says that your grandfather lost that Shakespeare’s original first edition to a sheik that never returned it); it’s painful to remember that no one knows who took an amazing João Gilberto LP. Daddy’s 1964 Rolls-Royce is in the garage now… Although its entire left side is scratched. Most of the time, however, people borrowing your stuff is a very good business. You get tickets for theater, sports, concerts and so on almost every week, are often invited to great parties and there’s that nice friend of yours that is always willing to let you spend holidays in his house at Italian Riviera. So, how to make the most of this situation? Just denying everything to everyone may hurt the feelings of good (and more generous) friends, right? A software to help determine if you’ll ever see that Lennon’s pair of socks again and will gain cuban cigars in return is what you need. What we want to know is how correct are our your friends based on their historic. The application indicates a conservative position to those who have a bad or no historical at all, so the more trouble a friend causes, the worse is his credibility and vice-versa. On the other hand, generous fellows gain “trust points”. The system will advise you calculating risks and opportunities based on the credibility of your friends and the degree of importance of the items in your collection. Let’s start writing a test for the feature we want: check a friend’s credibility. It’s a good idea to write exactly what we’re testing and what we expect to achieve. To lend or not to lend what? The advice will vary according to the friend and the item he wants to borrow, hence it’s necessary to consider items too. The word “this” is redundant and is becoming quite annoying, thereby we should avoid it for now on. Interesting, easy to read, but a little stilted for my taste. We just get started, so let’s keep things as simple as we can. Another alternative is to dispense the score instance to rate your fellows and implement this feature directly in Friend or Item class. The first option is in the passive voice, which some editors argue that it is more difficult to read and understand. The second one is more concise and describes better what we want, so I’ll pick it (note, however, that it’s an entirely subjective choice). Then we finish implementing the first version of this unit test. … therefore we begin implementing it creating Friend and Item classes, then the #canBorrow method. Run the test and you’ll see that it works fine (the JUnit green bar appears). However it only expects reliable friends so far, disconsidering the unreliable ones. Here goes our first attempt. Fix the test which was broken by the changes in Friend. Yes! Green bar, baby! What? How so? Do you think we could move faster towards a final implementation without these tiny steps? Do these steps seem to small to you? Remember, TDD is not about taking teeny-tiny steps, it’s about being able to take teeny-tine steps. Would I code day-to-day with steps this small? No. But when things get the least bit weird, I’m glad I can. Try teeny-tyne steps with an example of your own choosing. If you can make steps too small, you can certainly make steps the right size. If you only take larger steps, you’ll never know if smaller steps are appropriate. The algorithm has to take into account both friends and items. There are many ways to calculate a score based on historical data, foreseeing risks and opportunities. You could call a specialist but you’d rather to do it by yourself and improve it as necessary. A good start is to define the degree of important of your stuff and rank your friends. Items are classified as disposable, ordinary, day-to-day use, cool stuff, expensive, proud of the family, piece of art and eighth wonder of the world. * prefix if you want. It's a matter of taste. Surely you don’t call your friend names, but it’s perfectly acceptable to rank their attitudes, maybe from 0 (pleasant yet understands the verb “lend” as “give”) to 100 (Dalai Lama). Don’t forget to unit test and implement Friend class’s invariants: rank cannot be less than 0 or greater than 100, while item cannot be null. These last changes broke the test. Next step is to make it work again. The test code above says that a friend with 98 points can borrow expensive items, but those with 10 cannot. As we’re testing the rule for expensive items, it would be better to clearly state what we’re doing. The rule for disposable items is extremely easy to implement, since you don’t mind lend them to any one – unfortunately (or fortunately, depending how you see it) there’s not much of these items in your collection. Besides that, nobody wants to borrow them. Wonders never come out from where they’re hidden (since your grandpapa lost that book, says the legend). ^Back, Kent. Test-Driven Development: by Example. Boston, MA: Addison-Wesley, 2003. ISBN: 0321146530.